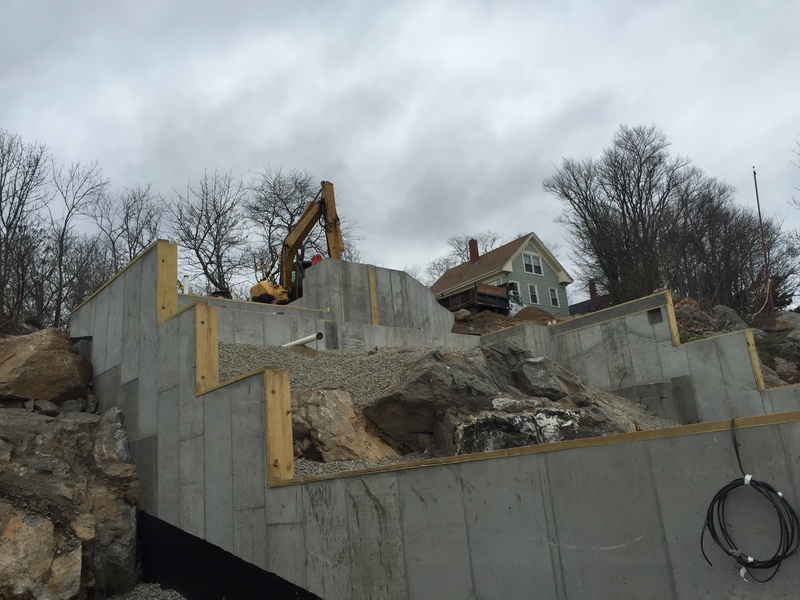 Today was the first of many highlights of our project in Gloucester, MA: the last of the foundations was poured! The biggest challenge, and our largest design constraint, was the steep grade and exposed ledge. Knowing that this was also the site’s greatest asset, we’ve compressed the footprint of the building, and used the verticality of the site to terrace up and along the protruding cliff face. An ambitious project, but one that is certainly taking shape!